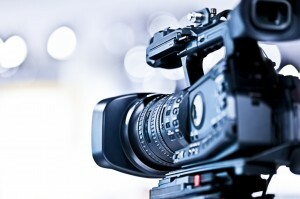 Video productions have always been the province of large companies, serving the dual purpose of creating brand awareness and delivering a sales pitch in a way that consumers are open to. Today’s video technology has not only broken barriers for small business to enter the video productions field, it has also created opportunity to reach consumers through new avenues that closely resemble traditional media. Once again, YouTube is leading the effort. Back in the 20th century, if you wanted to advertise your product or service alongside a quality network production like ‘Seinfeld’ or ‘E.R.’ you would need to invest heavily in your own video productions. Why? Because the cost of buying that ad space was so great, you couldn’t afford to air a commercial that didn’t have six-figure production standards. Where Do Your Video Productions Fit In? Creating a simple video for your company has never been easier. Short video productions can be created entirely in about a week and be airing as pre-roll in front on premium content in no time. And better still, with the great tools that Google AdWords provides, you are able to target your audience precisely by location and video content. If you are ready to begin marketing your business with video productions that deliver quality messaging and access to the vast online world of premium content, get in touch with TeeFour Productions. Let us show you how easy and affordable it is to get started with video productions and all of the ways it can help your business grow.